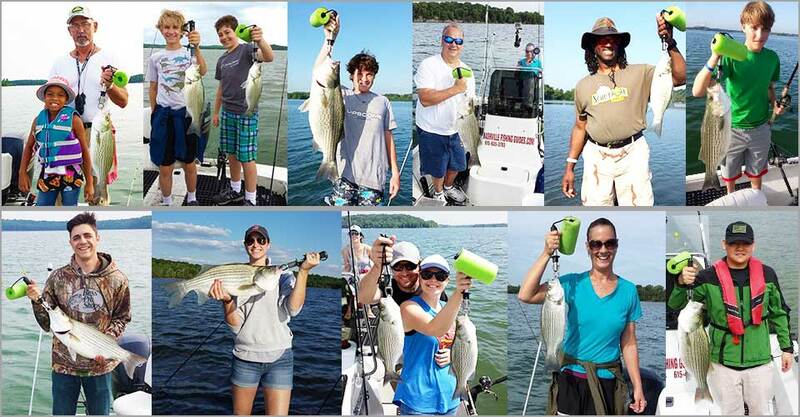 Guiding full time on Nashville Tennesse's Percy Priest Lake "Where the Fish Fear our Name"
Here at the Nashville Fishing Guides we have the boats, baits, and our secret honey holes mapped out to make your next Percy Priest Lake fishing trip a fun and memorable experience. 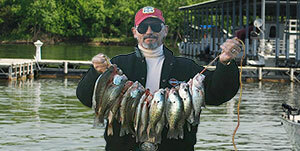 Veteran fishing guide (Merv) Mervin Johnson and his team are primarily guiding out of Nashville's Percy Priest Lake's beautiful Fate Sanders Marina in pursuit of stringers and live-wells filled with Crappie, Bass, and Stripers. Join us for your next guided fishing trip and discover why.. " THE FISH FEAR OUR NAME "
Merv Johnson has been guiding on Percy Priest Lake for some years now and has some hard fast rules for how he consitently puts his clients on the fish. Being a believer in "The Client Comes First" he spares nothing on his boat or the gear that he'll use to cause his clients to have a memorable fishing trip. From state of the art electronics all the way down to his rod holders, it's easy to tell that Merv knows quality gear. And he doesn't cut corners on his rods and reels or the bait that goes on them. It's one thing to put a client on the fish, but then they have to be enticed to take the bait, and Merv knows just what they're likely to be in the mood for on any given day. Will your guide know where the fish are? 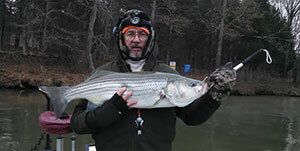 Nashville Fishing Guide Merv Johnson is fond of saying "90% of the fish on this lake are in 10% of the water". That's why it's not uncommon for Merv to burn an entire tank of gas in a day checking the Nashville Fishing Guides secret honey holes to monitor the availabiltiy and numbers of current fish on a given site. Merv Believes the client comes first, and this gives him the drive to find that elusive 10% of the water that provides his clients an exciting and memorable day of catching plenty of nice fish. Due to there being NO CLEANING STATIONS on J Percy Priest lake, we cannot offer fish cleaning services. Read about how and where we take our customers on Crappie Fishing Trips! Read about our Winter Time Fishing Trips and book online today! 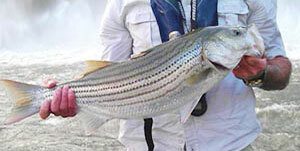 Read about our guiding service for stripers, then call and book your trip!